This Rustic Dark Blue Cast Iron Nautilus Shell Door Stopper 8" set is the perfect addition for any nautical themed home. 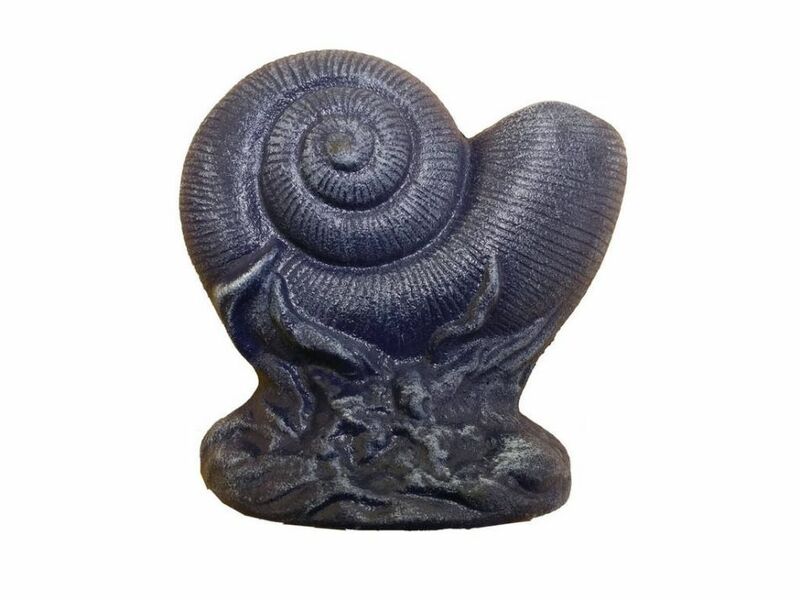 Crafted from cast iron, this heavy, decorative door stopper conveniently props your door open. Give this rustic finished door stop as the perfect gift for the nautical enthusiast in your life or put it out for display to show those who visit your home your affinity for the nautical sea-faring lifestyle.